It’s been a while since US presidential election ended. As reported by news, magazines, and other medias, Obama has carved unprecedented history of the first African-American US President. The rest of the world mostly succumbed in joy, celebrating the winning of a candidate who promised to bring changes to the States, the world’s number one in economic power and size. 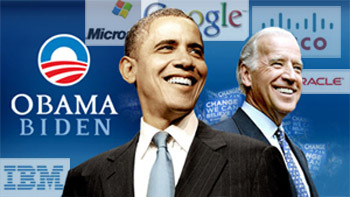 Media has massively and intensively mentioned and discussed that Obama’s tasks won’t be easy ones. He will have to deal with complicated situations and big lump of problems left by current incumbent. Given the broadness of the problems, I’d like to focus -as usual- on IT and related fields. In one of my post, I wrote about the ramification of this year’s credit-crunch-led-to-economic-turmoil impact to IT sector. Although the post was not so elaborated in projecting the severity of short-term, medium-term, and long-term impact of current economic recession, it can be inferred that I was a bit wary about the impact of US recession to countries worldwide. This entry was posted in Miscellaneous, Technical Notes and tagged economy turmoil, IT on November 24, 2008 by Tech Admin. How Deep Will The Global Economy In Turmoil Bring Impact To IT Sector? Last week was a global disaster for stock market. As you might have seen in the news broadcast, it was totally red for worldwide stock markets. 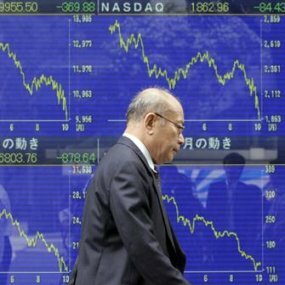 Not only Wallstreet, European and Asian indexes also plunged deeply until the final day of transaction last weekend. Only gloom and fear (and maybe some tantrum and mutter) occupied the trade floor. Nobody can assure when the trend will turn around to the positive track and stock markets make their comeback. Although the stocks have showed the rebound today, I’ll stay skeptical and be very prudent to say it’s the end of the negative slope. This entry was posted in Technical Notes and tagged economy turmoil, IT, strategic plan on October 13, 2008 by Tech Admin.